The 2015 Volkswagen Golf family is the 2015 Motor Trend Car of the year, and returns with more space, an updated look, new fuel-efficient engines and improved materials. Completely redesigned this year, the Golf sports subtle exterior enhancements, such as new lines in the side body panels, and all-new headlamps and taillights. Additionally, the Volkswagen Golf GTI has been redesigned and now features revised suspension. 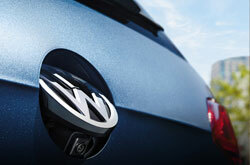 The Golf R has also been slightly changed and offers more power, as well as a new automatic transmission. For more details about the latest Golf models, read our 2015 Volkswagen Golf review below. Revised for the 2015 model year, the Volkswagen Golf and Golf GTI don a brand-new body structure that is stronger than ever. Both models also offer extra space for passengers and cargo in the rear of the vehicle, providing excellent comfort and versatility. Aside from these two variants, the 2015 Volkswagen Golf R in Orlando arrives with a longer and wider platform, 18-inch wheels, Bi-xenon headlamps, leather interior materials, sport seats and exceptional steering. The new model also provides 52.7 cubic feet of cargo space with the rear seats folded down, which is perfect for transporting large items. The 2015 Volkswagen Golf in Orlando comes standard with a 1.8L four-cylinder engine, delivering 170 horsepower and 200 lb.-ft. of torque. Both SE and SEL models are offered with an automatic transmission, while the Golf S and Launch Edition are standard with a five-speed manual. The Golf TDI model sports a 2.0L turbocharged engine, producing 150 horsepower and 236 lb.-ft. of torque, and is available with either a six-speed manual or six-speed automated manual. The front-wheel-drive Golf GTI comes equipped with a 2.0L four-cylinder engine, outputting 210 horsepower and 258 lb.-ft. of torque, while sporting a six-speed manual and six-speed automated manual. Delivering 292 horsepower and 280 lb.-ft. of torque, the Golf R's turbocharged four-cylinder is available with either a six-speed manual or dual-clutch automatic transmission, and delivers first-class performance across the lineup. To acquire more info about the award-winning new Golfs, continue browsing our 2015 VW Golf review. In quite a few key areas, the 2015 Golf outperforms rivals like the 2015 Ford Fiesta, Hyundai Elantra Touring and the Kia Forte. FL shoppers will enjoy the Golf's handy features and low cost. 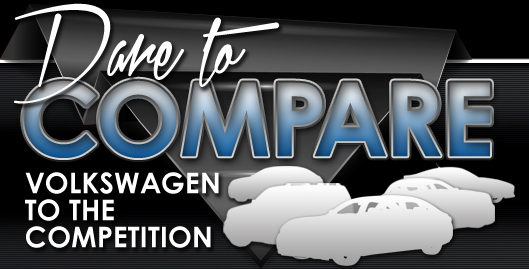 When comparing its price to the vehicle options listed above you will undoubtedly see that Orlando Volkswagen customers select it because it's a phenomenal value. Find out more - See the bullets under this paragraph! Thank you for selecting David Maus VW South as your source for 2015 Volkswagen Golf reviews. 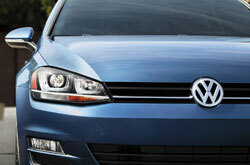 There is a reason why we are one of the Orlando area's respected Volkswagen dealerships. Just one reason is that we provide reviews transcribed by well-versed automotive writers. As you read this article, you'll see that it is filled with factual information about all the things you're looking for in the new Golf - powertrain options and other specs included. Thank you for reading through David Maus VW South's 2015 Golf review. Now that you know more about the Golf, use the contact form to message us to learn about current lease offers and regional OEM deals that can help you save substantially on your purchase.